After reprocessing of spent fuel, high-level radioactive liquid waste (HLW) is left behind. 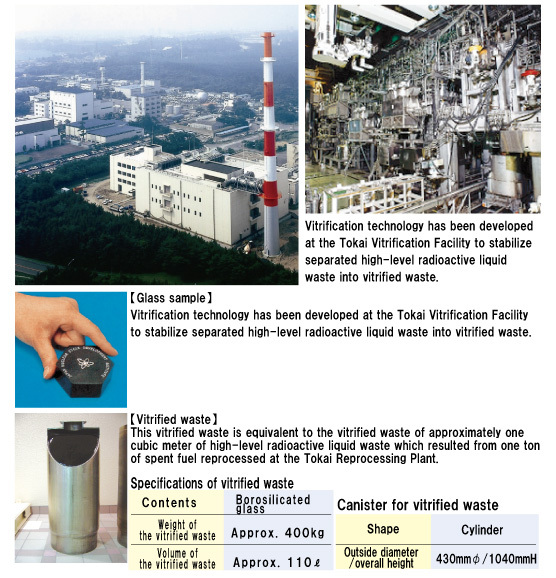 In Japan, high-level radioactive waste will be solidified into vitrified waste for stabilization and easy handling. After this treatment, the vitrified waste will be disposed of in a deep underground repository. 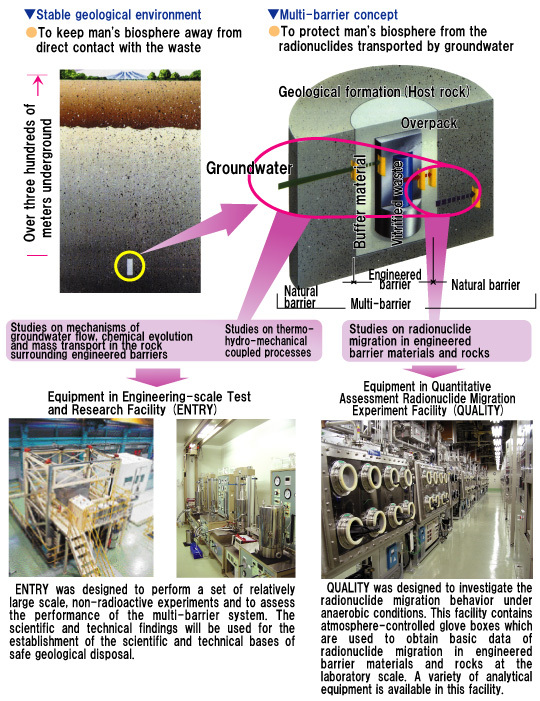 The basic concept of geological disposal of high-level radioactive waste in Japan is to construct a multi-barrier system in a stable geological environment. Combining carefully selected engineered barriers with a suitable geological environment to form multiple layers of protection defines the "multi-barrier concept".